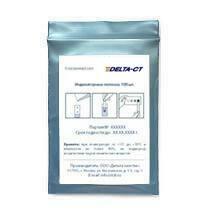 Peracetic acid test strips | ООО "Дельта хим-тэк"
Often, disinfectant solutions are mixed from a concentrate. To check the presence of effective levels of peracetic acid in disinfectant solutions, Peracetic acid 0-1000 mg/l test strips are the ideal tool. Using the test strips allows you to use disinfectants efficiently, ensure proper disinfection and document results. Method of application: Dip test strip into solution to be tested for 1-2 seconds and remove. After 10 seconds compare test strip with colour scale to determine the test result.